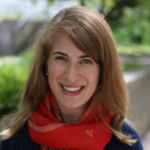 Tara Queen is a postdoctoral research fellow at the University of Michigan's Institute for Social Research. She received her PhD in Lifespan Developmental Psychology at North Carolina State University in 2011. Her research focuses on social cognition and well-being in the context of aging and adult development.